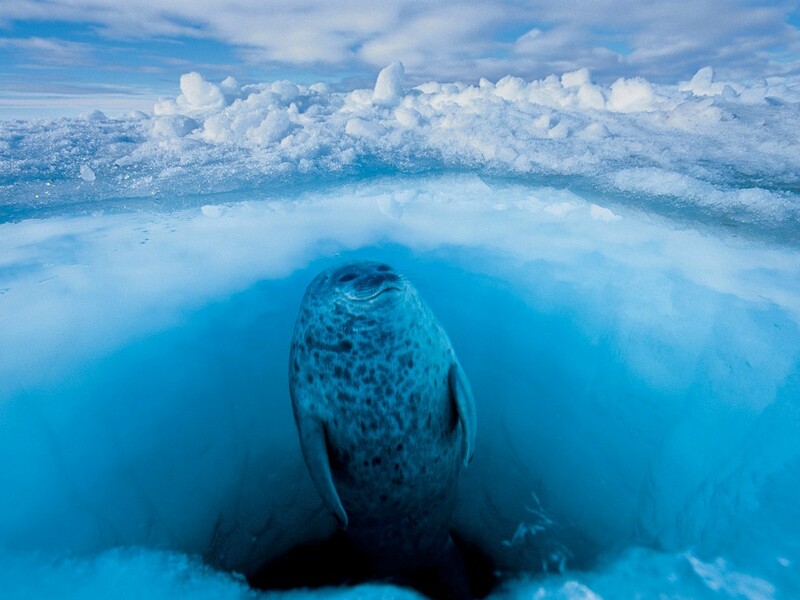 Like this seal, photographer and biologist Paul Nicklen was born and raised along the icy banks of northern Canada—Baffin Island to be exact. His home and his upbringing led him to a career exploring the frosty ends of the earth, with a special focus on the delicate relationships between marine life and healthy polar environments. It’s no secret that climate change is increasingly threatening ringed seals, as well as the other members of their ecosystem. Through the power of photography and his work with National Geographic, Nicklen is trying to raise a global awareness of these pressing issues. We hope this seal, and its entire Arctic family, will stay just as content in their icy ecosystems for years to come.